Wild Peach and Nectarine excerpt from the book Identifying and Harvesting Edible plants in wild (and not so wild) places. was cared for under glass. like that which creates albinos, makes the difference. hybrids of peaches and plums is simply erroneous. 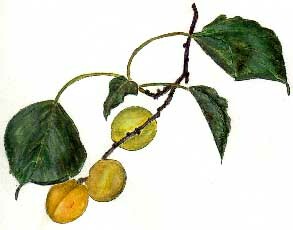 the seashorea wild apricot tree (Prunus armeniaca). Wild Apricot Blossoms - watercolor pencils - "Wildman"
Wild Apricots - watercolor pencils - "Wildman"